A unique talk show series that spotlights learning accomplishments, goal achievements and success stories within the City of Houston (COH). 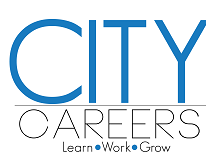 City Careers: Learn, Work and Grow was created to show our audience the inherently meaningful work of public service employees by highlighting the ways in which they are improving the community at-large. The show will also exhibit improvement initiatives within the City to generate awareness and educate the public about the roles and responsibilities of local government. Share the City of Houston’s vision for developing people, building careers and meeting the needs of the community. (Ch. 14); and AT&T U-verse (Ch. 99).